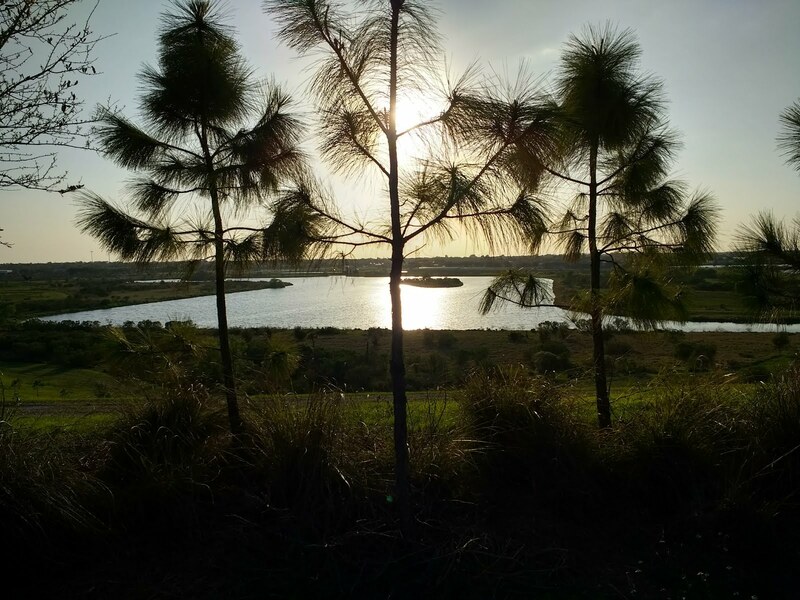 A citizens group will present the findings of a nine-month community process focused on public lands adjacent to the Celery Fields on Wednesday, September 12, to the Board of Sarasota County Commissioners. The presentation will begin around 9:30 a.m. at the County Administration Building, 1660 Ringling Boulevard, Sarasota. As it is not a hearing, public input will be limited to 3 minutes before or after the agenda. "We'll offer the perspective and vision of residents and visitors as to what these public parcels can do for our communities," said Glenna Blomquist, a member of Fresh Start. 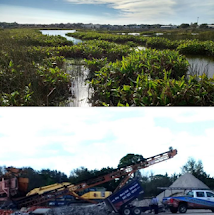 Since last December, the group has been working with HOAs in the area to identify viable and beneficial uses for the "Quad parcels" at the intersection of Palmer Boulevard and Apex Road, just west of the Celery Fields birding and recreation area and the Sarasota Audubon Nature Center. 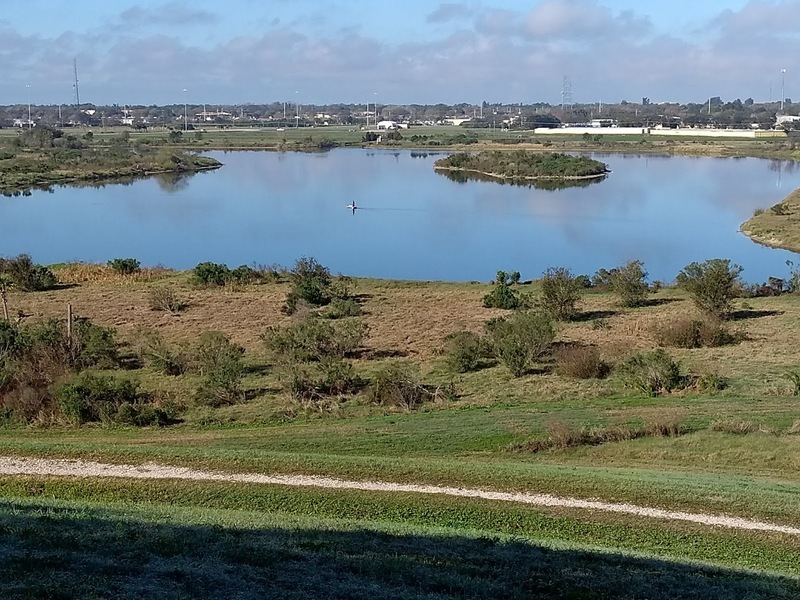 The Celery Fields began as a stormwater management project, but has grown into a treasured spot for residents and visitors -- many drawn to its extraordinary bird population. 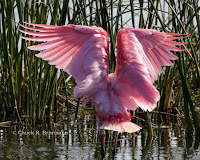 Over 224 species, both native and migrating, have been sighted and photographed by bird lovers. Last year two developers sought to purchase public parcels #2 and #3 in the quads, a distance of .8 mile from the birding area: one for a giant Restaurant Depot warehouse, the other for an even larger waste processing facility. The community outcry was substantial, including rallies and hours of public testimony. Both proposals ultimately failed, but the County never took the parcels off of the surplus lands list, or revised the land use designations that were set in 1981. That keeps the door open for industrial development. 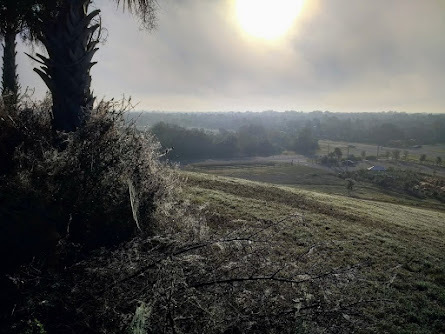 "This is a highly popular Florida destination on the verge of an explosion of new development east of the highway" (I-75), said Tom Matrullo, another member of Fresh Start. "Our first thought was, why haven't these old designations been updated to reflect the tremendous changes that have come, with so much more transformation on the way?" 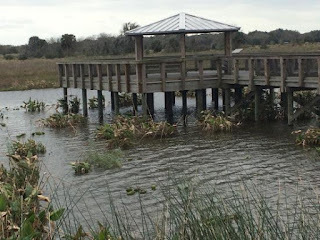 On Wednesday the group will offer what it describes as a "carefully reasoned, but passionate analysis" of the Celery Fields context. 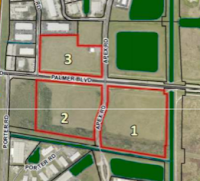 It will examine current approved new housing development east of the highway, and zoom in on new developments immediate to the Quad parcels. the group will ask the Board to adopt a resolution dedicating these public lands, a total of some 30 acres, for the benefit of the public. It will also present a petition (still open) that quickly gathered more than 1,000 signatures in support of the effort. 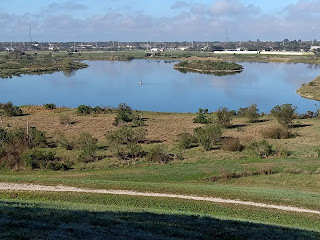 "When you look at everything that's changed here -- from the amazing Celery Fields to the neighborhoods and Tatum Ridge School -- and then look at the big picture of where this is all going, it becomes clear that the county should invest in creating a place that both buffers the Celery Fields and supports it with complementary uses," said Gary Walsh, president of the Meadow Walk HOA. Those uses could include any of the four already proposed, or some new combination the community prefers -- just not industry, says Carlos Correa, president of The Enclave. 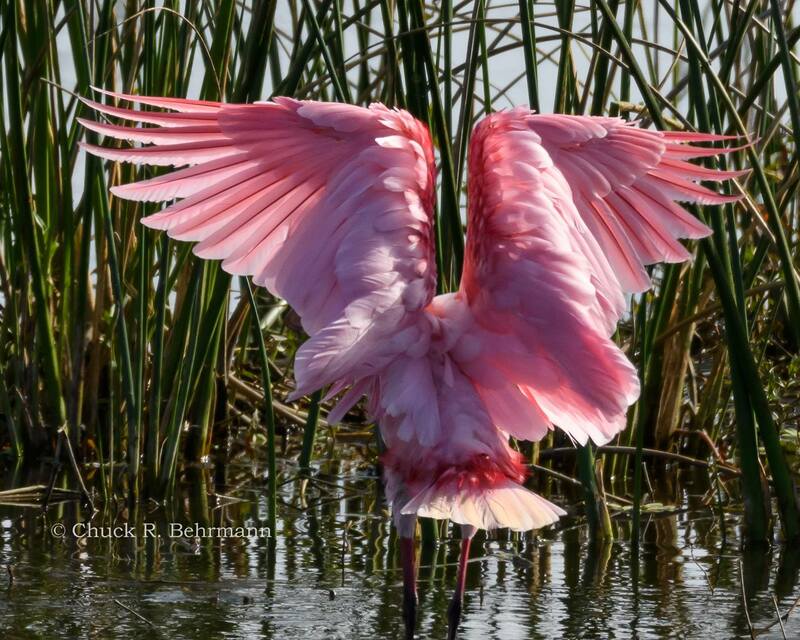 "We've spoken with many, many people -- not only in our communities, but planners, architects, environmentalists and visitors drawn to the area by the beauty and birding of the Celery Fields." Looking west from "Mt. Celery"
"Gentle cultivation, not harsh industrialization," is the message on the group's blog called Fresh Start for the Celery Fields. "The 49-page report (by Lambert Advisory LLC ) mentioned the Celery Fields twice in passing, but offered no analysis of potential impacts. It even failed to address issues from large industrial trucks," said Matrullo. The Lambert report did not say what kind of industry might be suitable for this location. It made no distinction between a giant warehouse, a waste processing plant, or a clean, high-paying high-tech firm, said Walsh. "When you look at all the factors -- not just dollars -- the choice seems pretty clear," says Correa. "Either you make a place that disrupts the natural beauty, flow, and preferred community uses, or you look to what the community wants and needs." "The educational, social, and economic possibilities of the county's investing in a multi-faceted community center hold enormous value for the people," says Matrullo. "Private industry will benefit the industrial developer alone." Fresh Start hopes to persuade the County Commission on Wednesday, Sept. 12 to look more holistically at a plan that would catalyze the unusual set of assets that includes the Celery Fields, Ackerman Park, Big Cat Habitat, and the Palmer Boulevard underpass to the Packinghouse district. "If we don't form a common sense plan, we'll end up with fragments that add up to less than the sum of their parts," said Blomquist. Protecting species is the most worthwhile gift we can leave for future generations. Sometimes, environmental good trumps corporate wealth goals.